An enlargement from the map of Wollaston Estate when it was sold at auction on 25th January 1848. 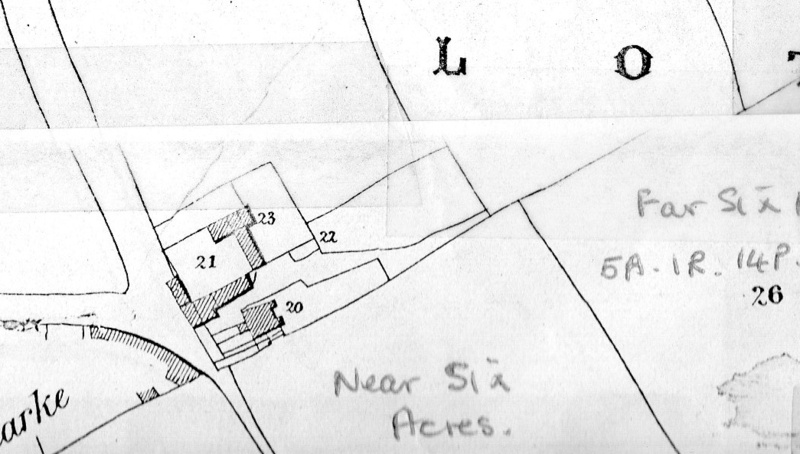 Eggington Farm consisted of 62 acres of land and the numbers on this map name the areas around the farmhouse. 20 - Eggington Farm house & garden; 21 - Building land etc. ; 22 - Garden etc. ; 23 - Rick-yard. The road junction shown in front of the buildings is between High Park Avenue and Bridgnorth Road. The farmhouse is where Hamilton Avenue is and the last house before Bridgnorth Road now stands. The barn was used by the Home Guard during the war. 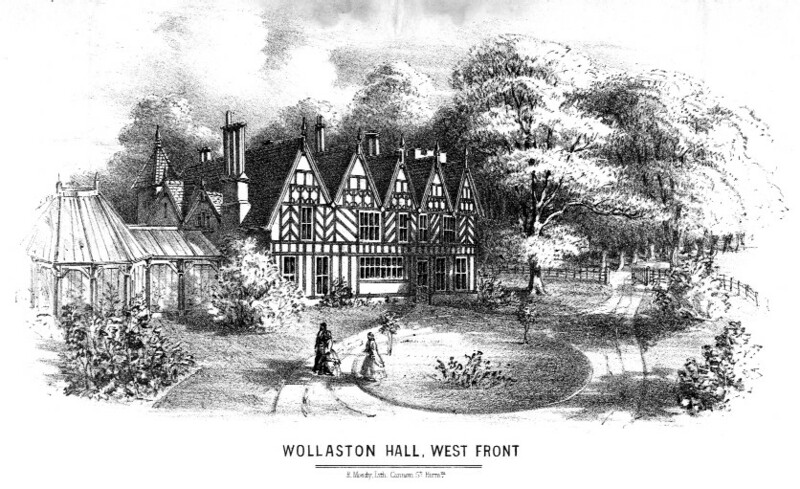 The whole of Wollaston was once part of the Foley lands and was sold to the Earl of Dudley in 1809 and again in 1848The sale included Wollaston hall, Wollaston Rolling Mill and High Park and Eggington Farms.